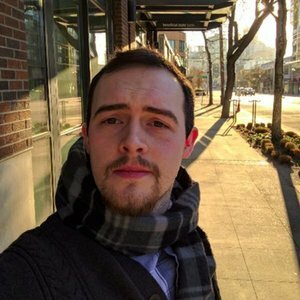 Systems, Network, and Administration Podcast. Every week TechSNAP covers the stories that impact those of us in the tech industry, and all of us that follow it. Every episode we dedicate a portion of the show to answer audience questions, discuss best practices, and solving your problems. Is it possible to make a truly private phone call anymore? The answer might surprise you. Cisco and Level 3 battle a huge SSH botnet & how to Build a successful Information Security career & much, much more! Why boring technology might be the better choice, Google revokes & China chokes, why you want to create an account at irs.gov before crooks do it for you. Plus your great IT questions, a rocking round up & much, much more! Reverse Engineering Incentives to Improve Security. New Jersey school district computers held for ransom & the flash bug that lives on from 2011 with a twist! Plus some great networking questions, drone powered Internet & more! Microsoft takes 4 years to fix a nasty bug, how to bypass 2 factor authentication in the popular ‘Authy’ app. Hijacking a domain with photoshop, hardware vs software RAID revisited, tons of great questions, our answers & much much more! Using encryption is a good thing, but its just the start, we’ll explain. Plus how one developer totally owned the Uber app. Then it’s a great batch of your questions & our answers! Plus why just need to stop hiding file extensions. Plus some great feedback & much, much more! Lenovo & Google are victims of DNS hijacking, we’ll share the details, Everyone wants you to secure your data, just not from them & how Turbotax profits from Cyber tax fraud! Plus a great batch of your questions, a fantastic round up & much, much more! Lenovo PCs ship with man-in-the-middle adware that breaks HTTPS connections, we’ll break down how this is possible, the danger that still exists & more. Plus the story of a billion dollar cyber heist anyone could pull off, the Equation group & much more! A 20 year old design flaw in Windows has just been patched & it requires some major re-working of the software. Attackers compromise Forbes.com & why Facebook’s new ThreatExchange platform could be a great idea. 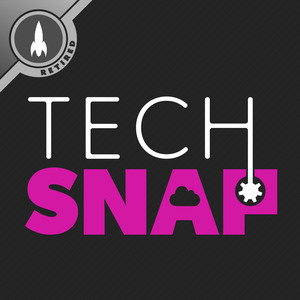 A new major security breach at a large health insurance firm could expose 10s of millions, a phone phishing scam anyone could fall for & we celebrate our 200th episode with your TechSNAP stories. Then its a storage spectacular Q&A & much, much more! The internet of dangerous things is arriving but what about taking care of the devices we already have? Plus details on critical updates from Adobe, the surprising number of Gas Stations vulnerable to exploitation via the internet & much, much more! Adobe has a bad week, with exploits in the wild & no patch. We’ll share the details. Had your credit card stolen? We’ll tell you how. Plus the harsh reality for IT departments, a great batch of questions, our answers & much much more! Been putting off that patch? This week we’ll cover how an out of date Joomla install led to a massive breach, Microsoft and Google spar over patch disclosures, picking the right security question & more! We reflect on the lessons learned from the Sony Hack & discuss some of the tools used to own their network. Plus a overview of what makes up a filesystem, a run down of the Bacula backup system & much more! We go inside the epic takedown of SpamHaus, then we break down why CloudFlare’s Flexible SSL is the opposite of security. Followed by a great batch of questions, our answers & much much more! We look back at this year in TechSNAP. 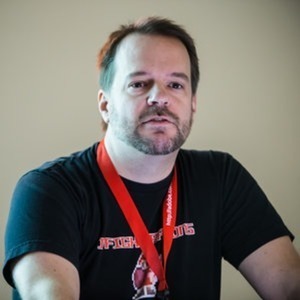 Allan shares his war stories, TrueCrypt shuts down, Heartbleed happens & more!